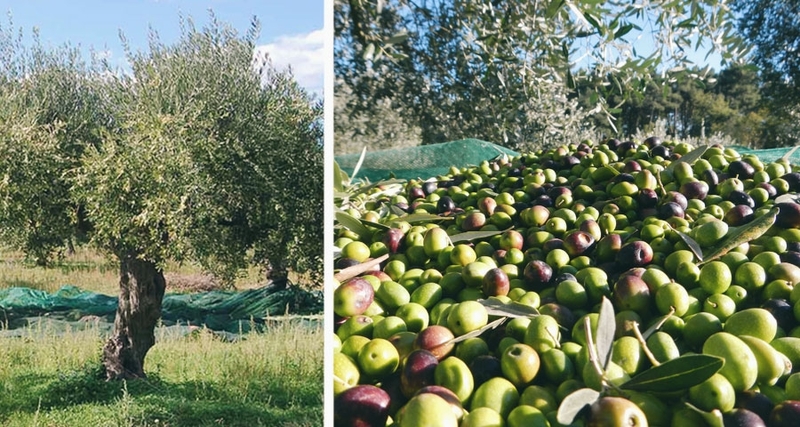 Come with us to harvest the olives and try freshly produced olive oil "extra vergine"! The olive tree is a plant which can easily get hundred of years old: one of its characteristics is that it can regenerate completely or for a great part when it suffers damages. It is also a plant which is always green. Its flowers are small, white and without any smell. The fruit has an oval shape and wheights between 2-3 gramm (those which are used for the production of olive oil) and 4-5 gramm (those which are served for eating). The colour is between green to darkish violet. There is no exact harvest time for the olives, it depends on the species: the earlier Leccino and Moraiolo) and the later (Frantoio). However the olive harvest for the production of olive oil takes normally place between mid of october until end of dicember.